We hold expertise in offering a complete solution to all our customer needs through providing them our broad range of variable speed drives. These are provided with specific kind of changeable speed drive , which is capable to control the rotation of the current proficiently. Our variable speed drives are manufactured in compliance with the industry standards and offered at most reasonable prices. 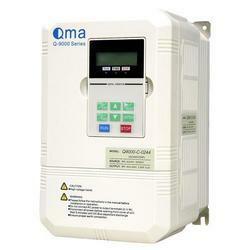 We are involved in offering a comprehensive and wide range of Variable Speed Drives. This range is developed using modern machinery and advanced technology that are handled by our adroit and innovative personnel. Post production, the offered range is checked using stringent techniques so as to ensure its strict adherence with the fixed industry laid standards and norms.